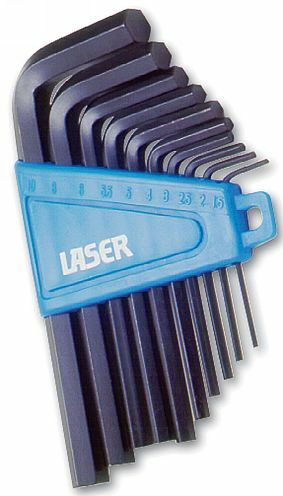 Imperial sizes. 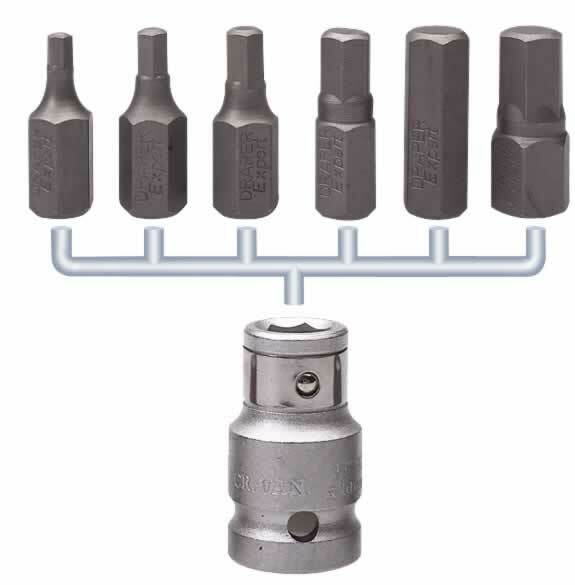 AF sizes: 1/16" | 5/64" | 3/32" | 1/8" | 5/32" | 3/16" | 7/32" | 1/4". 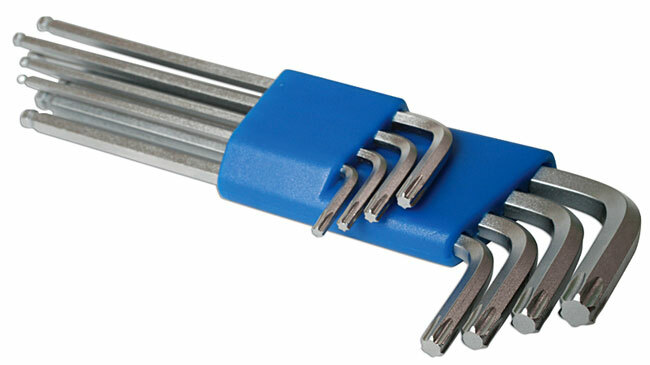 Sizes: 1.5 | 2 | 2.5 | 3 | 4 | 4.5 | 5 | 6mm. 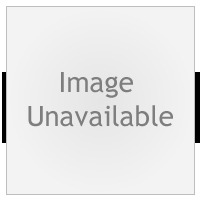 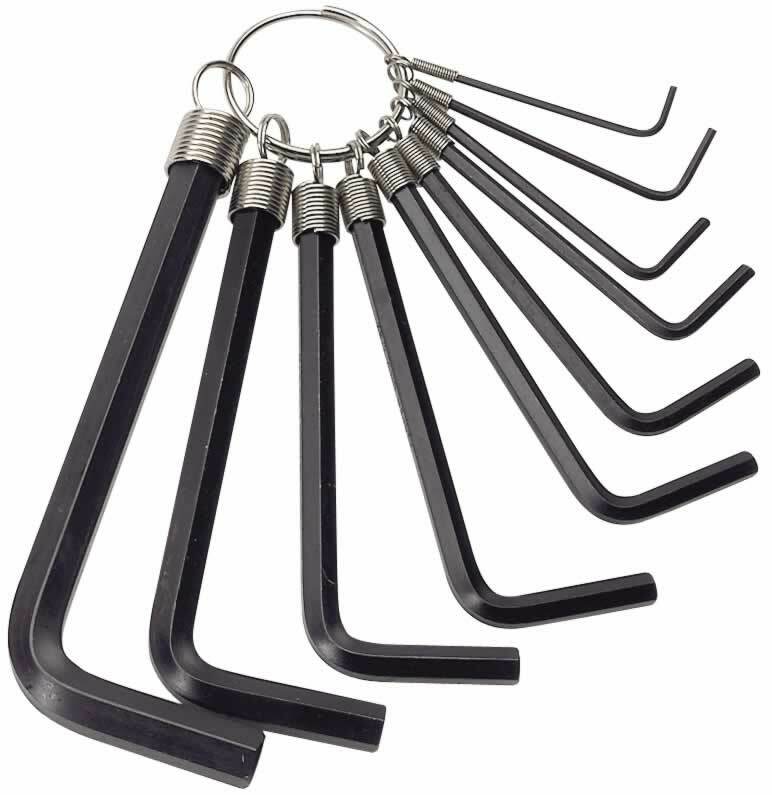 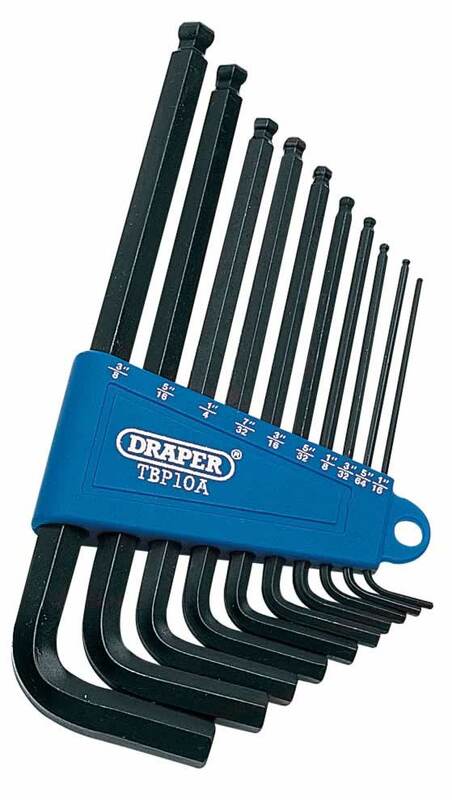 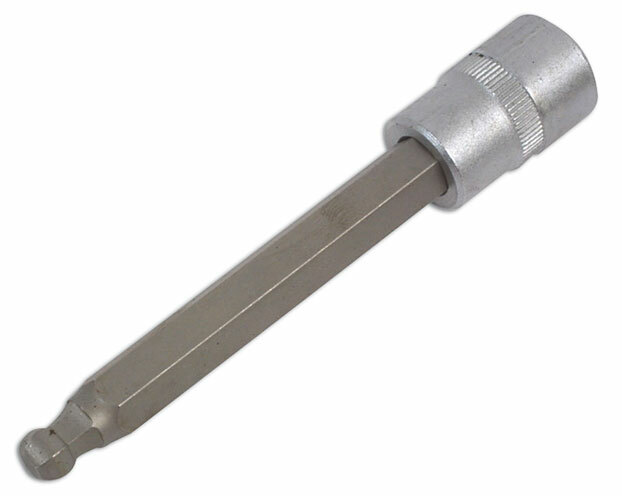 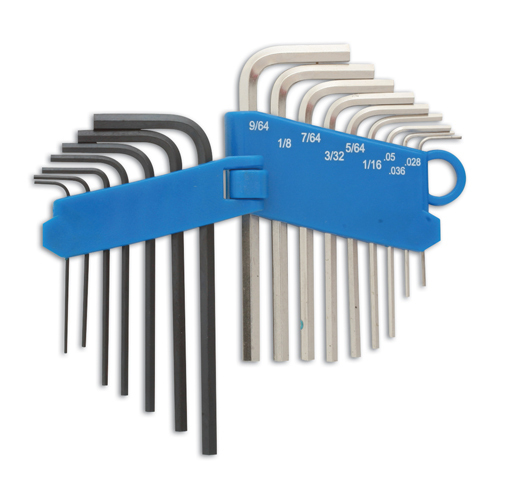 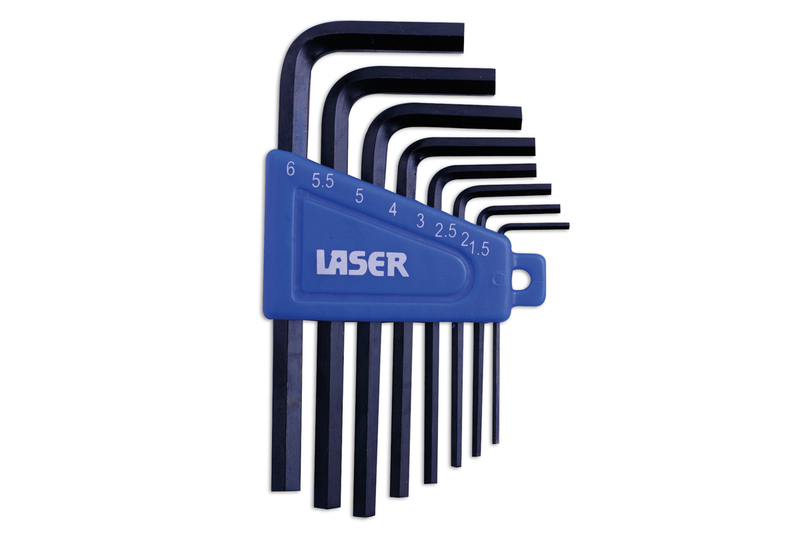 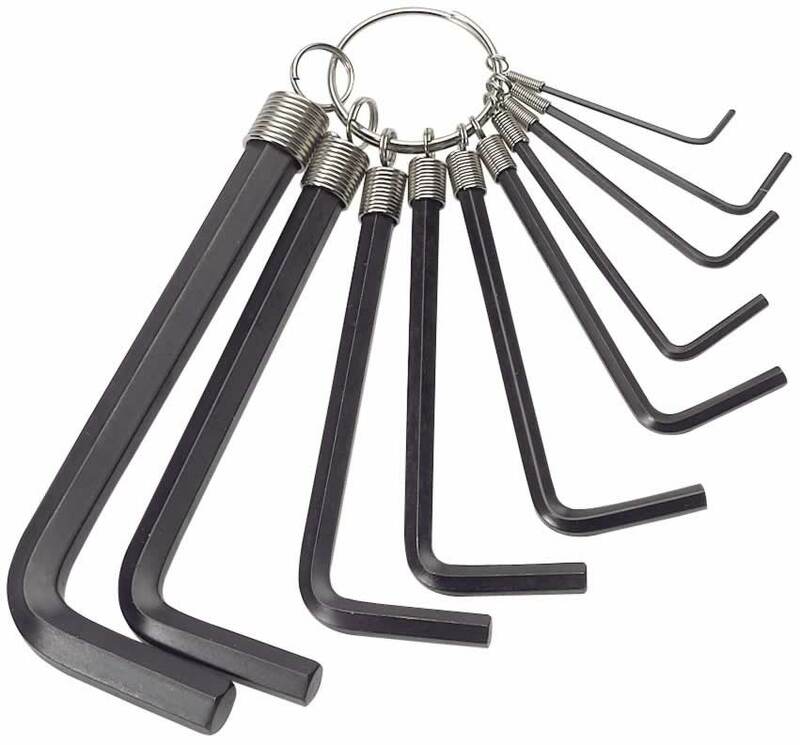 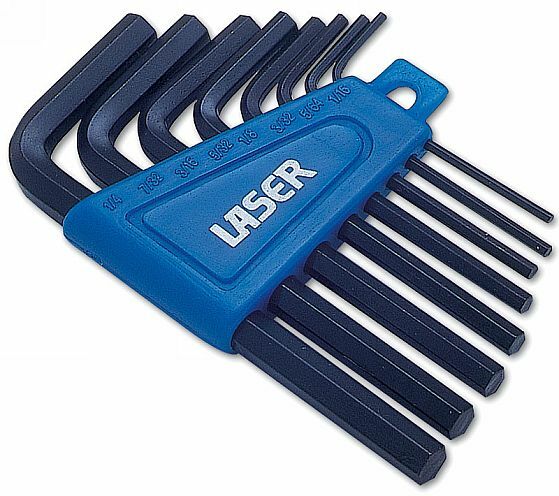 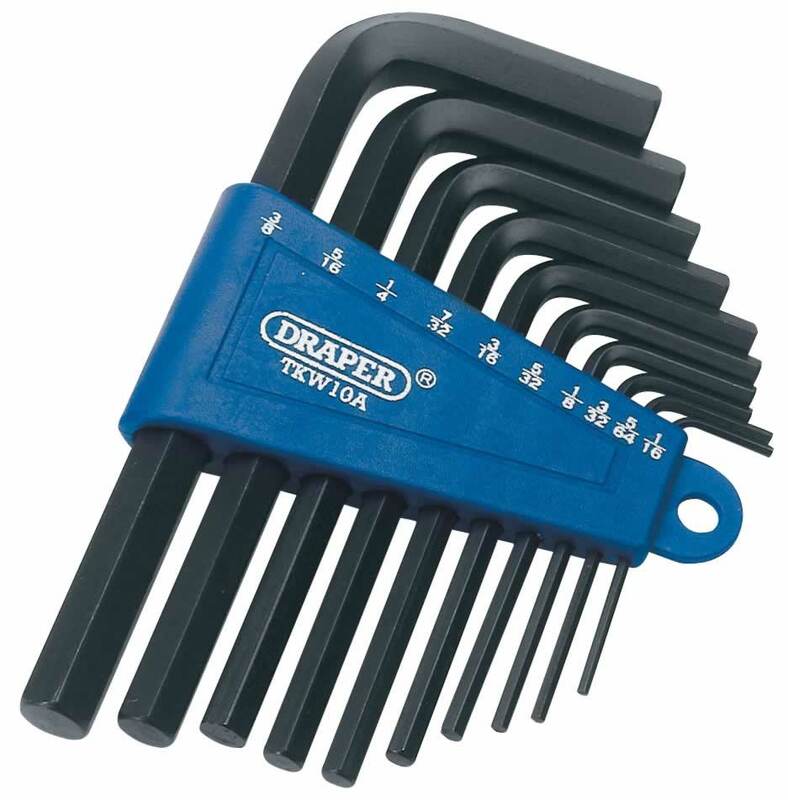 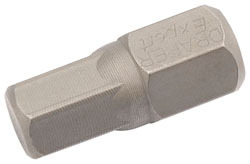 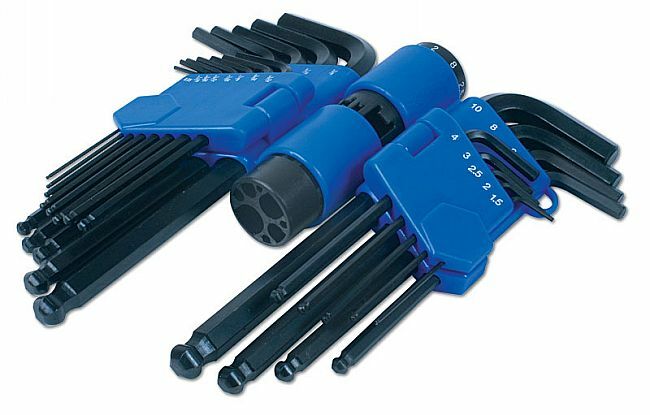 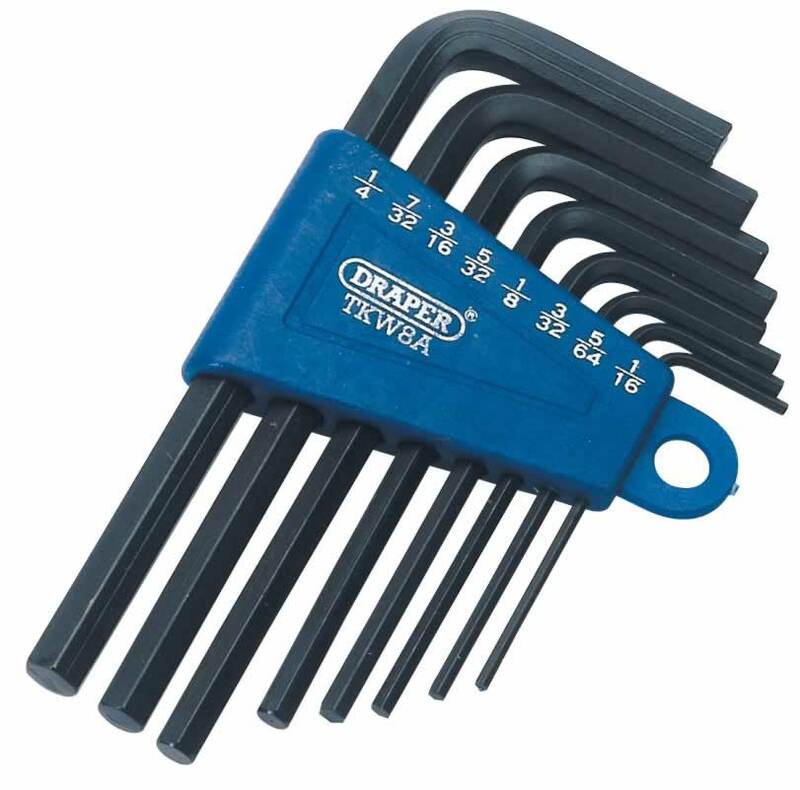 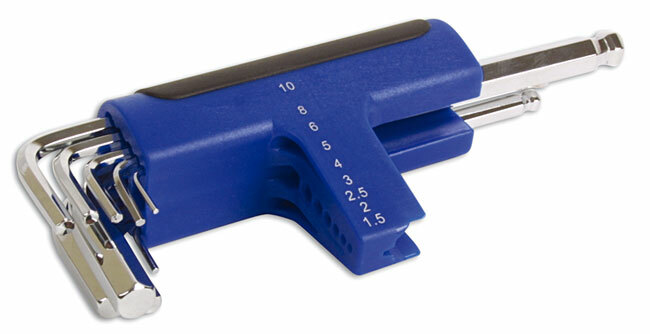 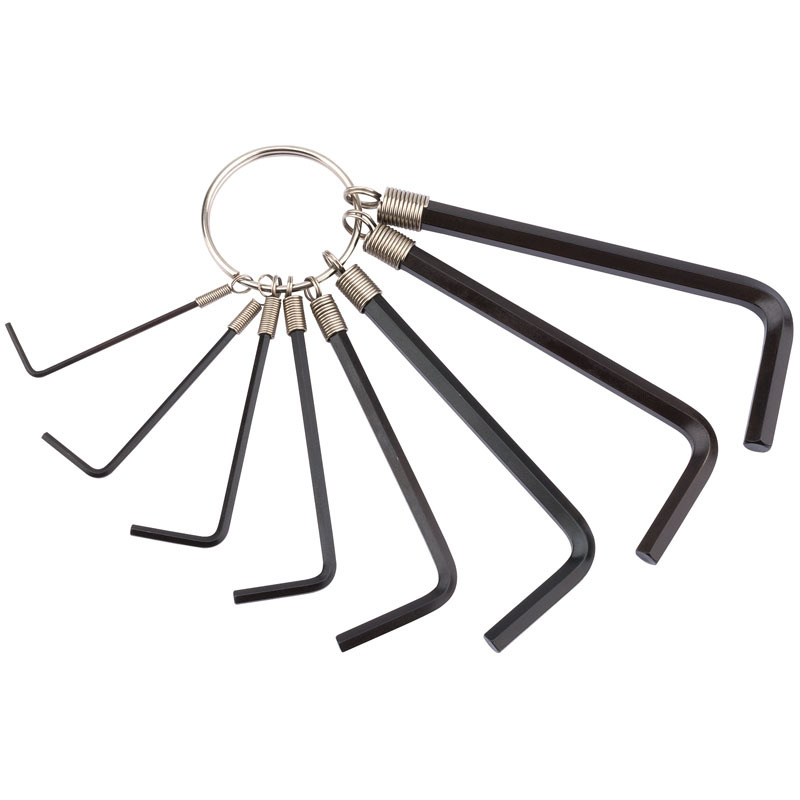 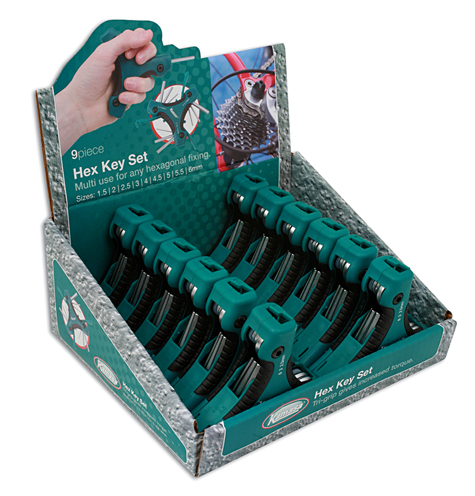 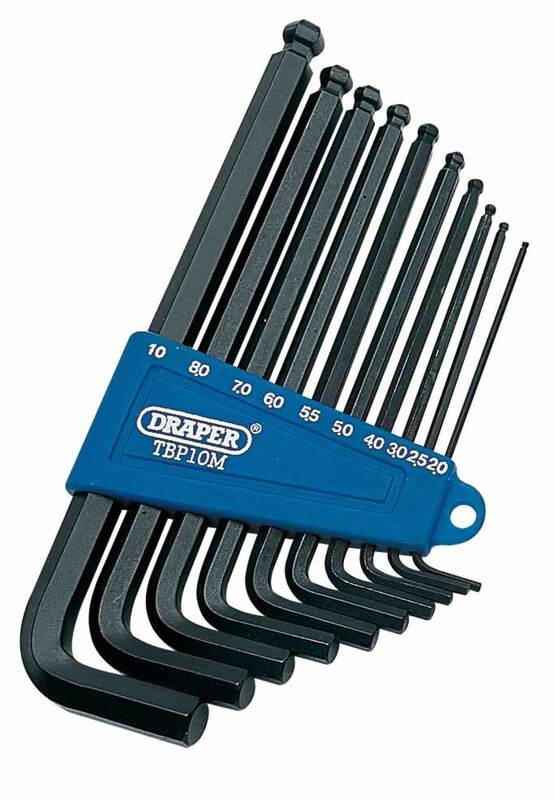 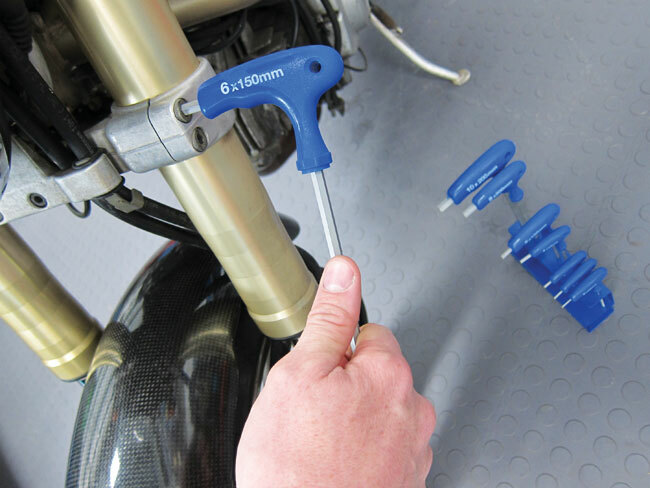 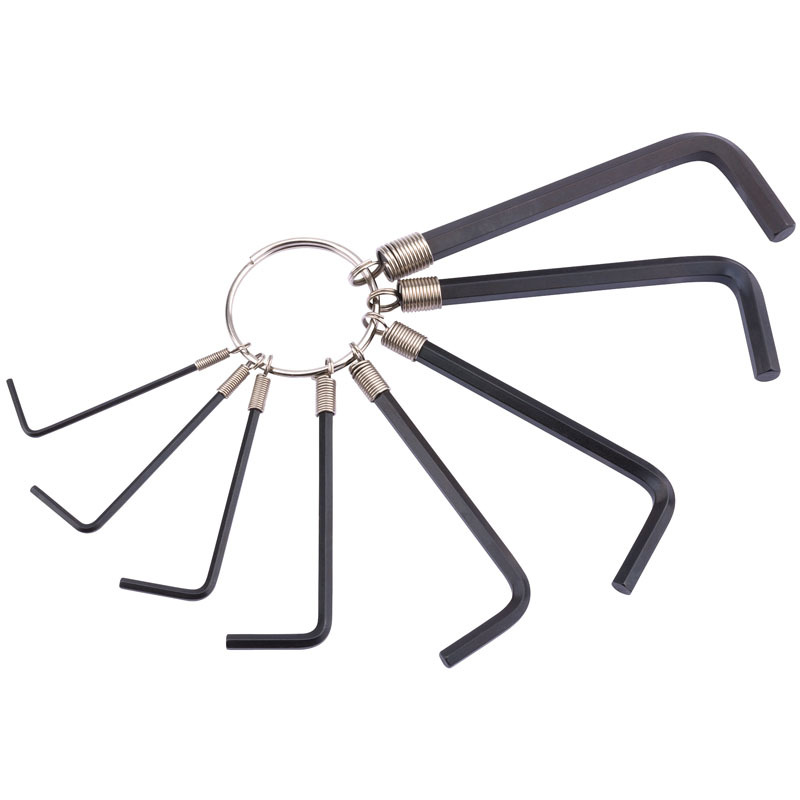 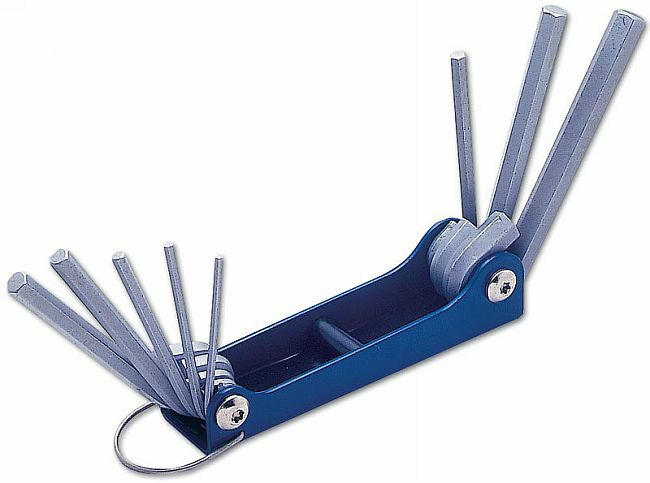 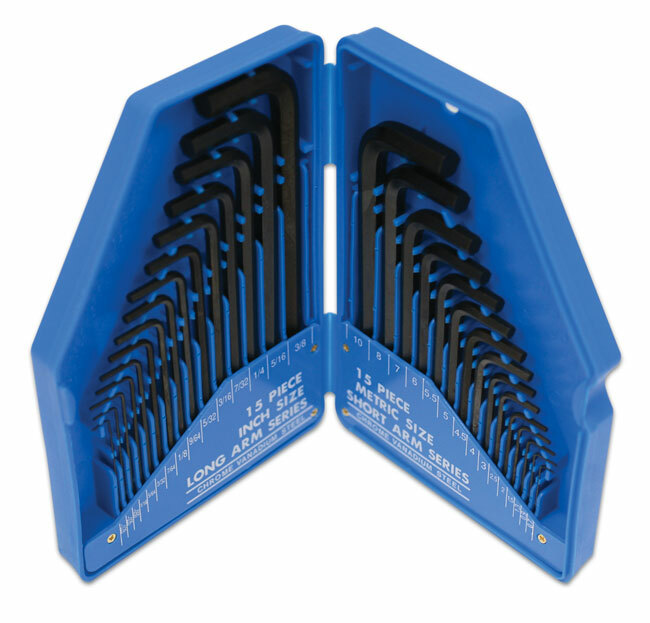 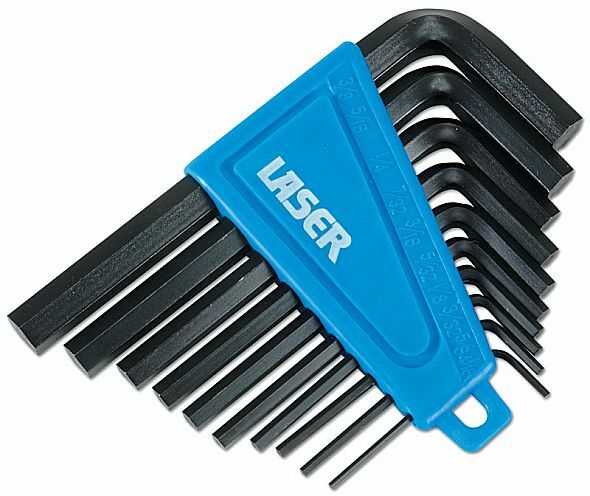 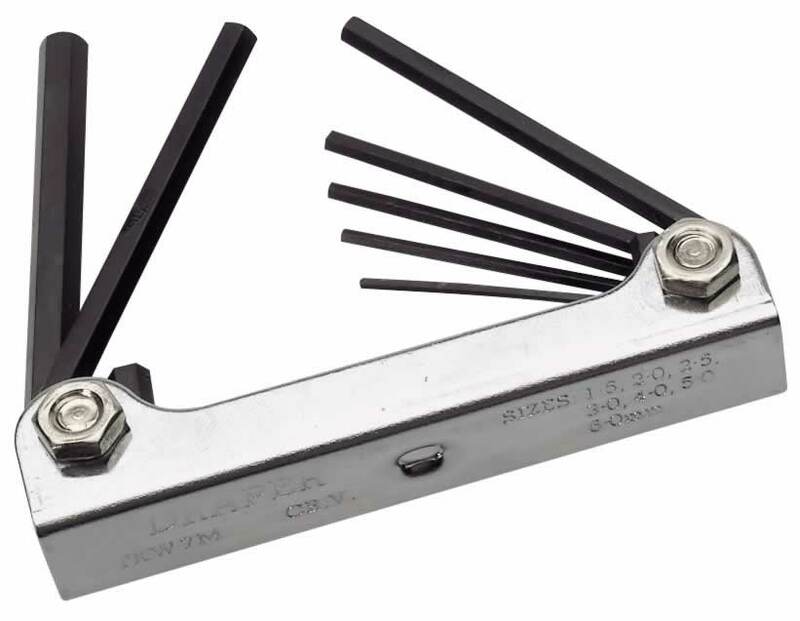 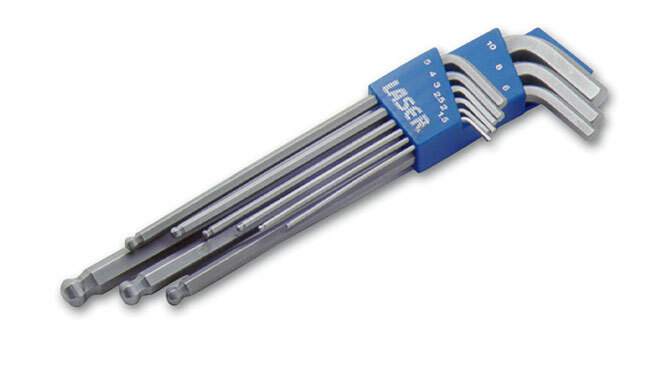 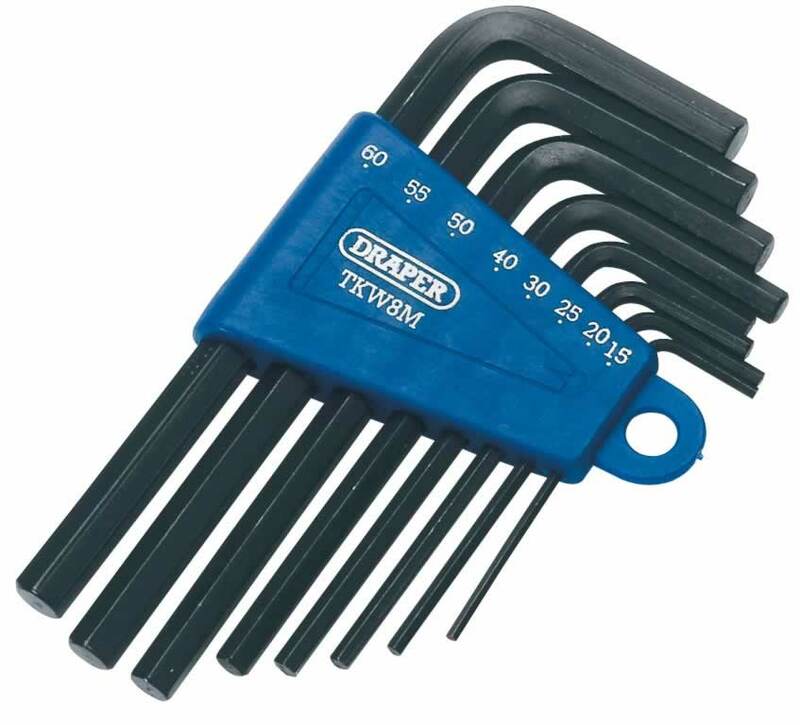 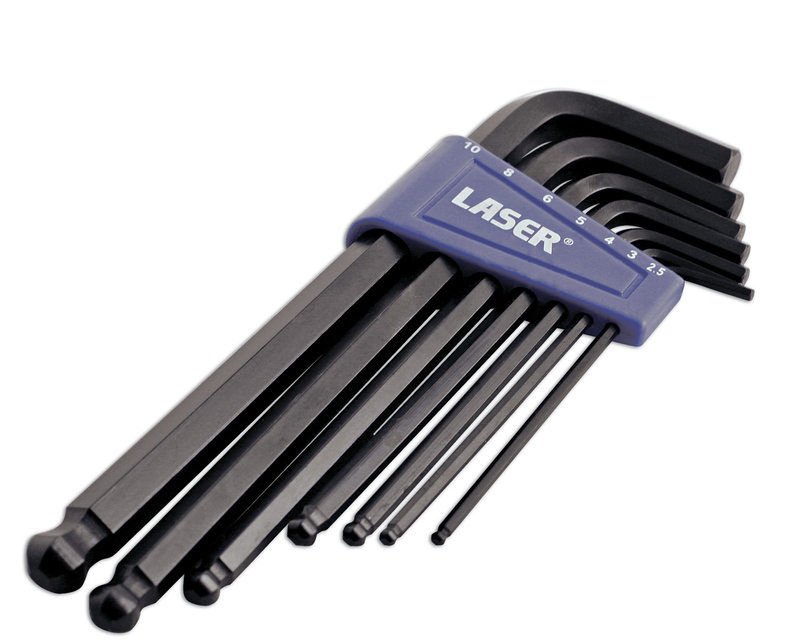 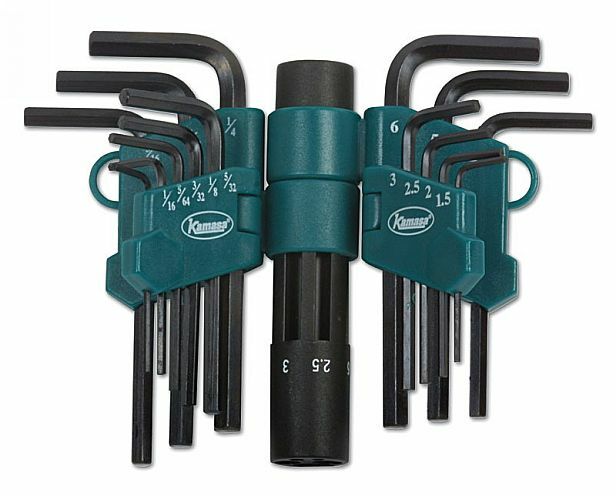 T-handled Hex key in tamperproof format. 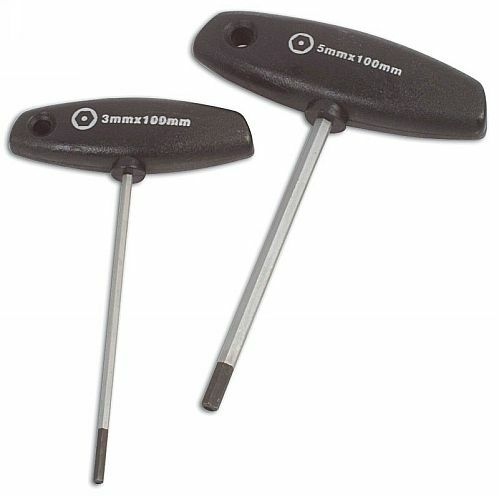 Metric sizes (short format) 0.7 | 0.9 | 1.3 | 1.5 | 2 | 2.5 | 3 | 4 | 4.5 | 5 | 5.5 | 6 | 7 | 8 | 10mm. 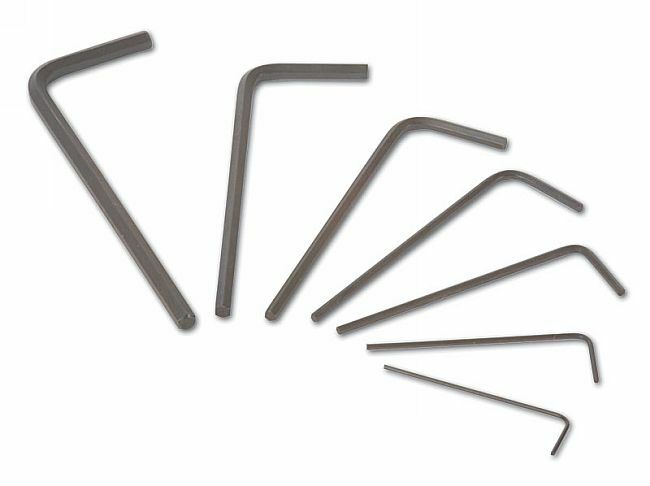 Imperial sizes (long format) 0.028" | 0.035" | 0.050" | 1/16" | 5/64" | 3/32" | 7/64" | 1/8" | 9/64" | 5/32" | 3/16" | 7/32" | 1/4"
Metric miniature sizes. 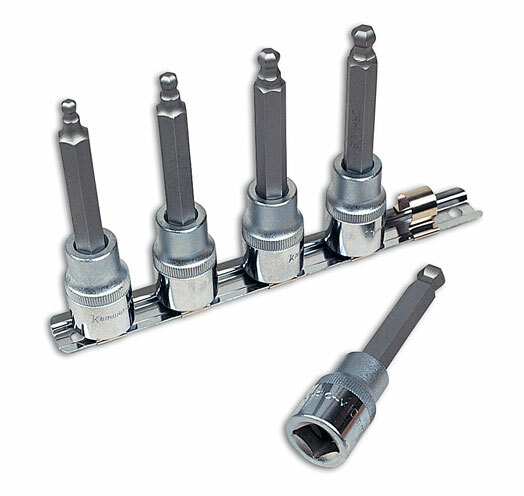 Manufactured from Chrome Vanadium. 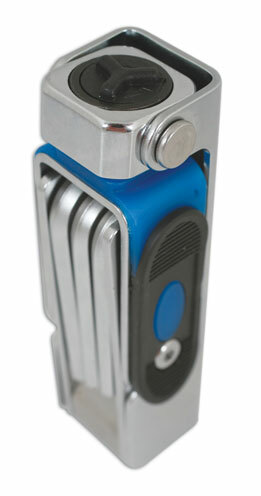 Wallet supplied for storage. 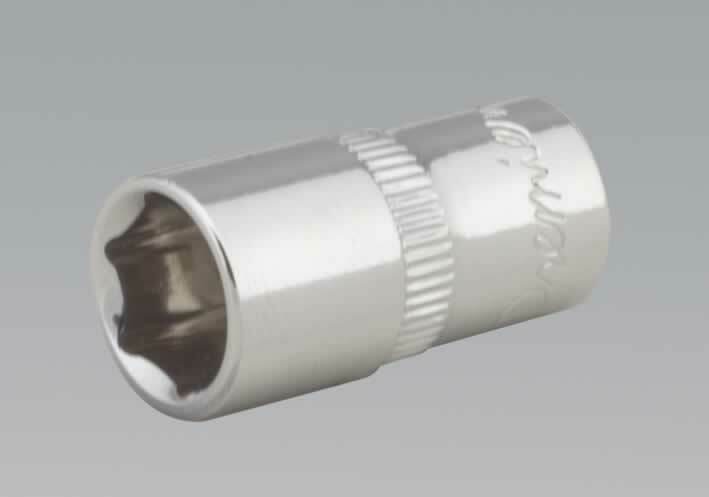 Sizes: 0.7 | 0.9 | 1.3 | 1.5 | 2 | 2.5 | 3mm. 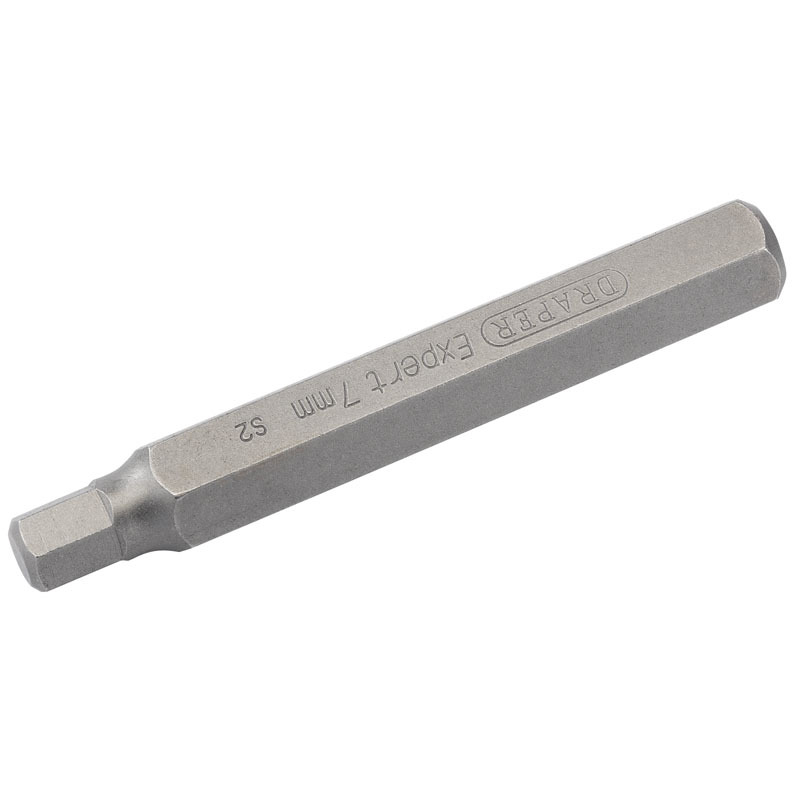 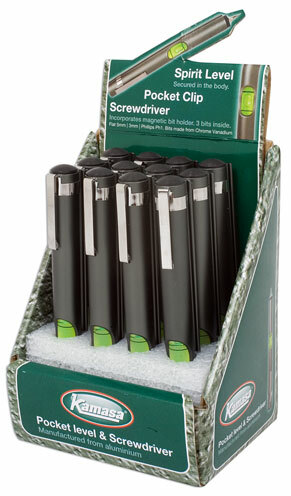 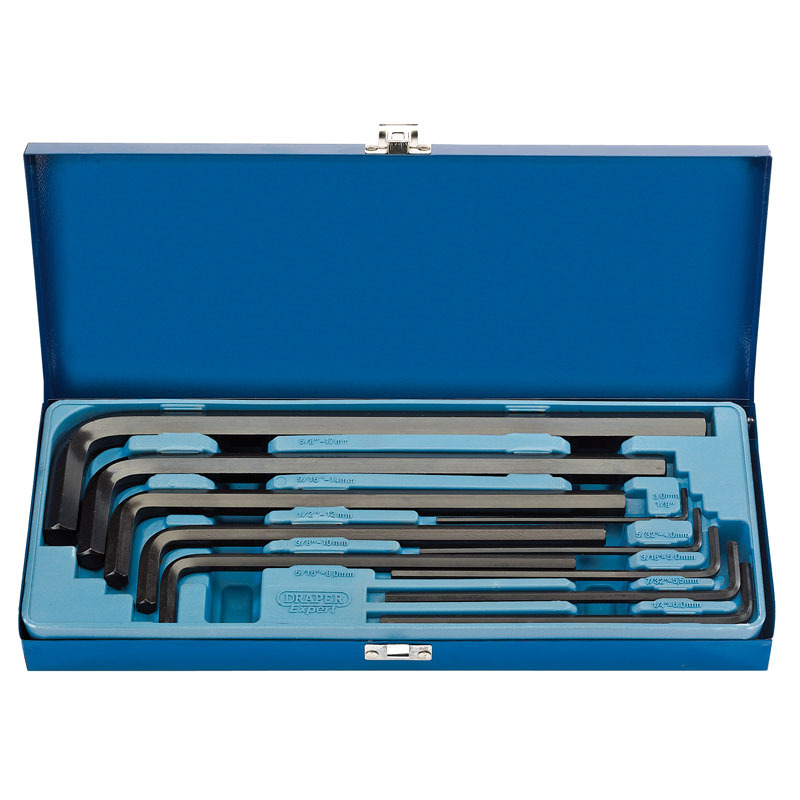 Ideal for the hobbyist, electronics engineer, mobile phone, or any precision work. 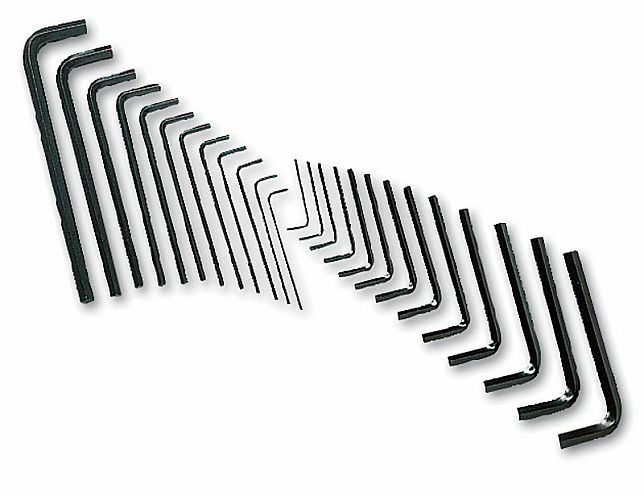 1/16, 5/64, 3/32, 1/8, 5/32, 3/16, 7/32 and 1/4"
3 x 124, 4 x 138, 5 x 158, 5.5 x 168, 6 x 178, 8 x 197, 10 x 221, 12 x 248, 14 x 278 and 17 x318mm.